18.1 Why Human Factors in Mishap Investigations? 18.2 What Is a Mishap? Dr. Barbara Kanki served as a Research Scientist at the National Aeronautics and Space Administration (NASA), Ames Research Center (Moffett Field, California) in the Human Systems Integration Division. Over her tenure of more than 25 years, she conducted human performance research in support of NASA Aviation Safety Programs, Human Factors and Performance for Space Safety, and a variety of Human Factors programs for the Federal Aviation Administration (FAA). In a consulting role she worked with other high risk industries such as the medical and nuclear power fields. Dr. Kanki’s research activities have ranged across human factors topics such as crew communication and coordination, organizational factors, information and workload management for aviation operations including flight crews, ground control, and technical operations. Her research interests include human-centered procedure and document design, integration and training for new technologies as well as safety topics such as voluntary reporting and event investigation. She has supported the space side of NASA in human and socio-technical risk factors, team training, and procedure design primarily for the space shuttle program at Kennedy Space Center and has participated on NASA mishap boards, safety assessments and National Transportation Safety Board human performance investigations. After retiring from NASA in 2014, Dr. Kanki continues to contribute to NASA projects and FAA/industry groups, and is the current chair of the Human Performance working group of the International Association for the Advancement of Space Safety. Dr. Kanki received her doctorate in Behavioral Sciences from the University of Chicago, where she specialized in the areas of communication and group dynamics. 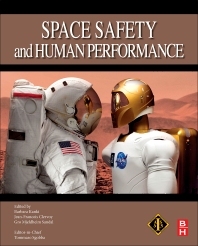 She continues to author, edit, and review books, journals, and papers on human factors topics. Jean –Francois Clervoy, is an ESA (European Space Agency) astronaut from France and brigadier general from DGA (French Defense Procurement Agency), served as a mission specialist twice aboard the Space Shuttle Atlantis on mission STS-66 to study the atmosphere, and on mission STS-84 to re-supply the Russian space station Mir, and as a flight engineer aboard the Space Shuttle Discovery on mission STS-103 to repair the Hubble Space Telescope. He has logged 28 days and 3 hours in 439 earth orbits. Since 2001 he has worked as a senior advisor astronaut for the ESA human space flight programs including the ATV Jules Verne project to re-supply the International Space Station. Still active in the European astronaut corps, he works also as Chairman of Novespace, a company which organizes parabolic flights with its Airbus ZERO-G for microgravity research and for public weightlessness discovery flights. Dr. Sandal is a professor of psychology at the Faculty of Psychology, University of Bergen in Norway where she is a leader of a unit, the Society and Workplace Diversity Research Group. Her fields of expertise are work and organizational psychology, stress and coping, and cross-cultural psychology. Since the early 1990s, Gro Mjeldheim Sandal has been the Principal Investigator of large scales research projects funded by the European Space Agency focusing on psychological reactions during human spaceflights. The projects have included a number of simulation studies of multicultural crews isolated in hyperbaric chambers and personnel operating in other extreme environments (Antarctic research stations, polar expeditions, military settings, oil and gas-platforms). She is currently leading a psychological experiment on the ISS in collaboration with colleagues working for the Russian Space Agency. Her recent research has focused on the implications of individual and cultural differences in values for efficient co-working among crews in space as well as among ground-based personnel. A major aim of her research in space and analogue environments is to gain knowledge that can be applied for selection, training, and in-flight support.